Summary: A tale of friendship between two unlikely pen pals: Mary, a lonely, eight-year-old girl living in the suburbs of Melbourne, and Max, a forty-four-year old, severely obese man living in New York. Way back in 2004 Adam Elliot won an Oscar for his short-animation ‘Harvie Krumpet’, so it is scary at just how far the marvelous ‘Mary And Max’ will go. ‘Mary And Max’ is one of the finest animation films to ever surface and leaves the critically acclaimed ‘Persepolis’ for dead. What Adam Elliot has managed to create here is an absolute masterpiece of a film. This is no Pixar animation, it delves into some very dark areas of human life but always manages to have a laugh at hand that will actually get audience members to chuckle. The story holds up so well that you can only imagine just how well this film will do overseas. It will become an absolute smash hit amongst European cinemagoers and may even be the film that attracts Australian film goers back to actually paying to see an Australian film. Elliot is a visionary director and he manages to capture shots that would normally be impossible in animated films. The scenery and Elliot’s eye-for-detail leave the audience in awe and even those who would normally avoid animated films will see the true beauty in ‘Mary And Max’. Some may be surprised at the caliber of actors that Elliot has managed to get involved with ‘Mary And Max’. Certainly you wouldn’t normally expect for someone like Philip Seymour Hoffman to voice a character in an Australian animated film but it’s not hard to see that Hoffman would have read this script and fell in love with it straight away. The story found here has produced one of the best scripts that an actor could ever have fall into their laps. Films as brilliant as ‘Mary And Max’ don’t come along very often. If I had to grade it out of ten I would give it one hundred. 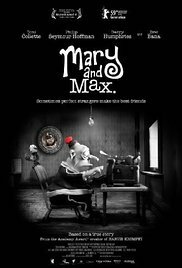 Other Subculture Entertainment Mary And Max reviews: This Mary And Max review first appeared in Buzz Magazine – October 2009.